As IT admins, daunting tasks and constant checking are part of our everyday routines. Nobody could say our role within the company is not an important one. People ask about the things we do and sometimes it’s quite impossible to answer shortly. To clear things up, we have to keep an eye on the network –here, there, and everywhere. Network management tools enable us to manage, monitor and configure our network from one central location. We discuss about the best free and paid network management software which you can choose according to your requirements. Let’s start now! Network administrator should keep an eye on network performance, availability of IT functions and bandwidth usage. These are essential parts of an IT administrator’s job. On the other hand, you must also mitigate issues when they arise to prevent downtime before it affects your users and customers. Daily monitoring and troubleshooting you do could save any company hundreds in lost productivity. 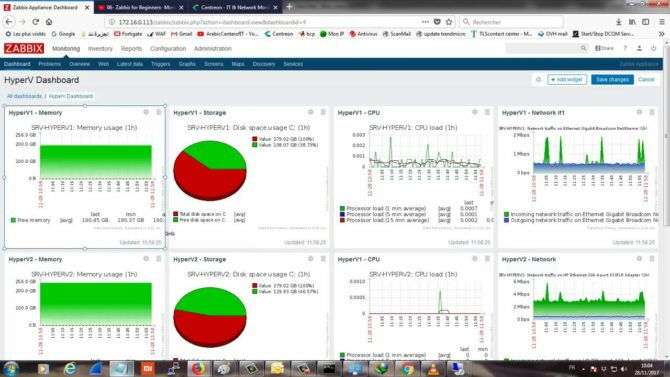 Zabbix can monitor everything in your network, from network devices to CPUs, databases, and applications. Also, it will provide you with thorough reporting and network mapping. This allows you to see what is happening in your network. 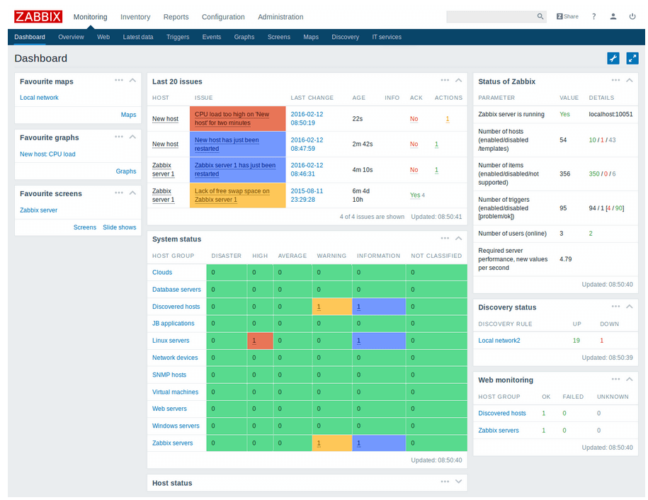 Zabbix will alert you of any incidents within your network. It will create maps that are updated live. Zabbix’s simple scripts can resolve issues without human intervention as Zabbix can execute them for you as needed. Pros: Scalable, robust, and easy to implement. Great community support, open-source allows full-scale customization. Cons: Paid support, its UI may not be the best, and Linux knowledge might be needed. Icinga is another open-source network management solution with many great features. Installing it is easy and essential monitoring can be achieved with either pre-configured templates or plugins. While it runs on most of the popular Linux distros no other platforms are available for installation as a server role. 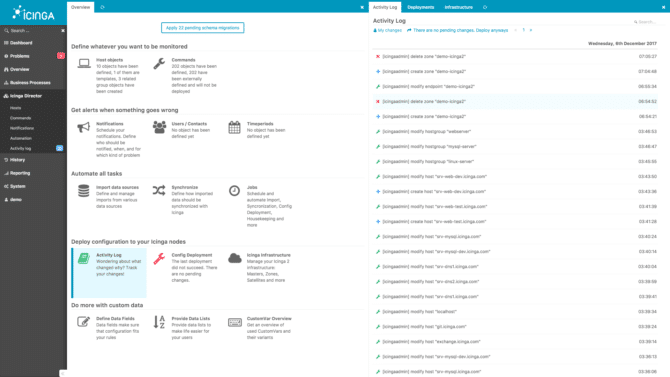 In addition, Icinga will support all configuration management tools such as Puppet, Chef, or Ansible. Overall, Icinga has a robust framework for performing authentication and authorization tasks. Pros: Open-source, basic monitoring needs are satisfied with performance monitor, you can use Nagios plugins. Cons: Initial setup could be tricky; installing agents on servers requires some trial and error. The learning curve is quite steep. Microsoft System Center provides an integrated client-to-cloud management system for private and public servers hosted in the cloud. It is an excellent tool for the administration of computers and servers and monitoring devices regardless of the platform. It supports almost all platforms including Windows, Linux, Solaris, Mac OS, etc. You can also unify it with your Active Directory and DHCP to locate any computers connected to your network. System Center allows you to deploy any updates, implement any applications or shortcuts, Operating Systems, and you can monitor it all. Pros: Active directory integration. Deploy applications and update quickly. A wide range of reports available. You can set up distribution points to save bandwidth on remote sites. Cons: Licensing is expensive and complicated. Setup requires many hours for it to work 100%. Creating additional reports could be a hassle; you might need some programming knowledge. 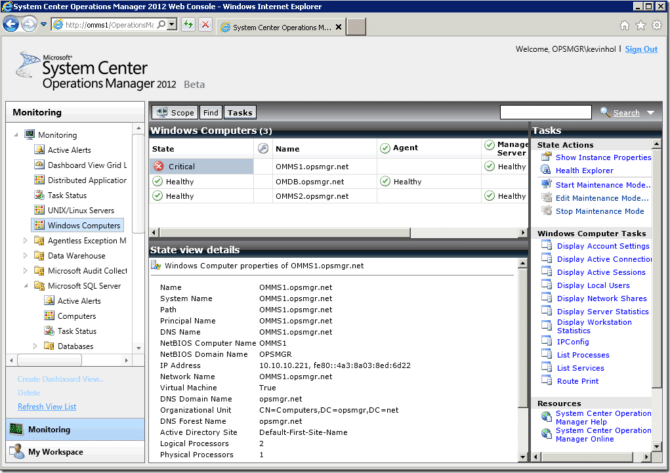 Desktop Central allows you to automate regular desktop management routines. The management tasks could include installing patches, distributing software, managing IT assets and licenses as well as monitoring software usage statistics. It also allows you to remote control your users’ desktop. This tool will provide you with total control over your domain. It takes away the need to deploy software by creating tedious scripts. Overall, this is an excellent and affordable choice to have your IT management needs covered. 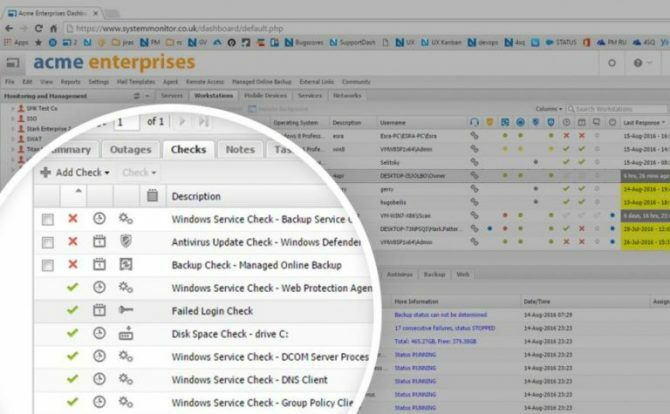 If you are looking for an enterprise management solution, Desktop Central is for you. Pros: Versatile, scalable and free for small companies, keep machines compliant. Reported to be simpler and quicker than its Microsoft counterpart. Cons: Software portal for Mac is limited; license management could be a bit tricky, poor customer support. SolarWinds MSP RMM provides advanced tools to be able to maintain secure, reliable, and improve day-to-day IT operations. 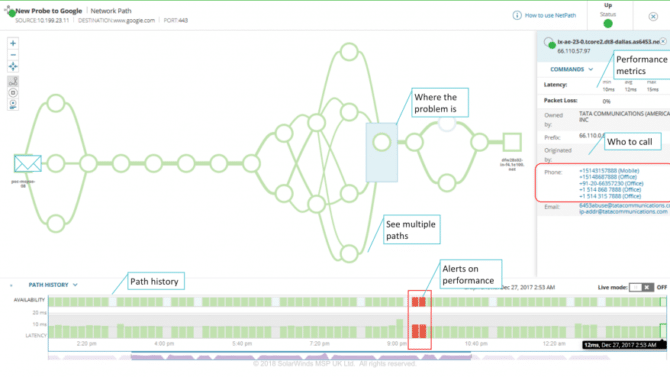 This product will let you detect security issues on your network immediately. It also offers an advanced malware protection feature, which will protect you and your environment from cyber attacks. With SolarWinds RMM you can make sure all of your clients have their antivirus installed and up-to-date. 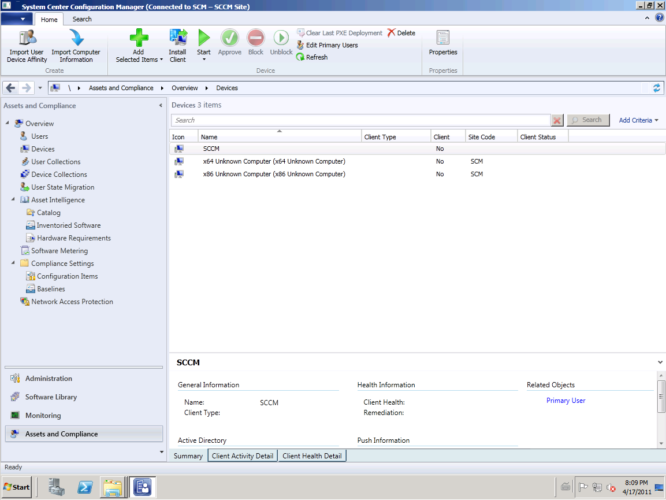 RMM also offers a portal where users can submit tickets and monitor their statuses. 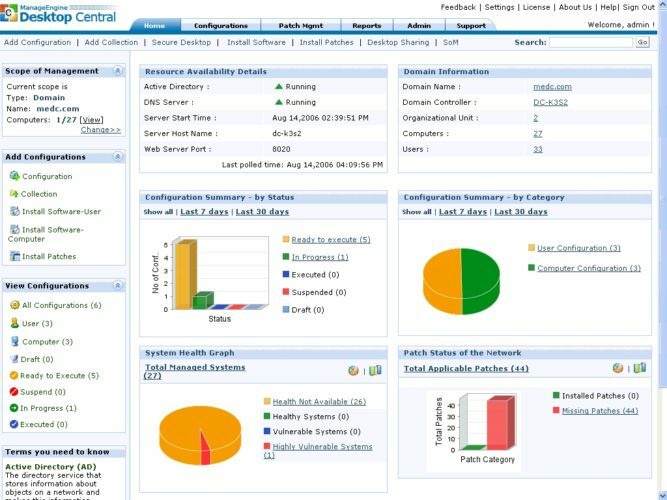 SolarWinds MSP RMM is better suited for enterprise networks or managed service providers. 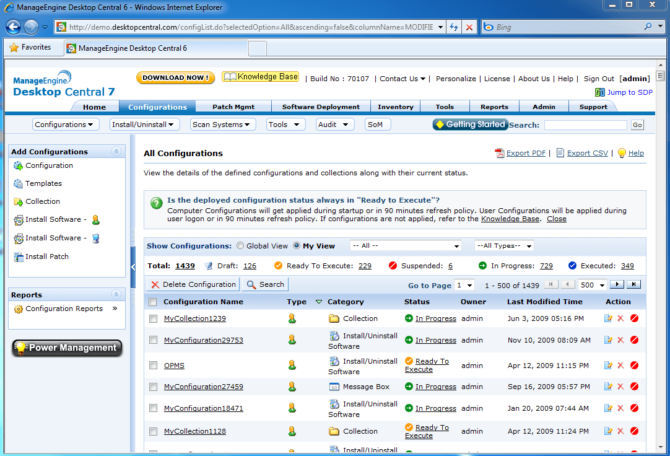 Pros: Ease of use, great community, inventory management is one of the best, easy integration with Active Directory. Cons: Too many features could take some time to set up, lciensing can become costly, the learning curve could be steep. When looking for a network management tool, there are a few points you should consider leveraging the tool as part of their daily tasks. These tools will allow each piece of your network interconnect allowing them to communicate with each other efficiently. As you will be able to monitor traffic within your network, you’ll see where your users are going. This type of monitoring will prevent unauthorized access to information or files. An inventory scan of your network will allow you to check for intruders on your network. You can also keep your asset inventory updated in real-time. All of these are important aspects to keep in mind when acquiring a network management tool.